To learn more about e-residency. Consultation. And contract with eSparQNow one-stop-service. Everything is included. Fill-in forms with consultation that gives latest legal and financial law. Monthly accounting & tax process with our experienced specialists, complying with Estonian law. Our specialists make and submit your annual report. Take dividend on your decision. No corporate income tax on retained profit. For any change: Increase capital, obtain VAT number, Liquidation etc. ​To learn more about how it works. You have full control of your business. Even Non-EU-resident foreigners can have 100% ownership. You do not have to have any local director neither local share holder. In Estonia there are fewer regulations on Foreign Direct Investment. 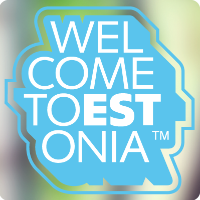 With e-residency card, you can access to the most innovated Estonian e-service. You can do everything from setting up company to signing on documents and paying tax online. You can operate your company from anywhere in the world. ​You have access to EU market. You have more trust than other locations. Amazon sellers can now have a VAT Company in the EU to conduct Fulfillment by Amazon. ​Deposits in Estonian Banks are protected by law. Estonian governmental debt is as low as 10% to national GDP, the lowest of 28 EU member states. ​A combination of efficient e-government and simple legal system makes your cost of doing business low. You have access global payment providers like Paypal, Google Play, Payoneer. Smarter payment methods will help you grow your business. e-residency is totally new global concept.. Share ideas with other like-minded individual.. New meet ups, new friend, and new business are made between e-residents anywhere in the world both on and offline. Q - How do I apply for e-residency? And how much? A - Online. 100EUR by credit card. Click here to apply e-residency. Q - Can I immigrate to Estonia with e-residency? ​A - No. e-residency gives you access to Estonian e-services. You have to apply for proper visa. Q - What is minimum capital? Q - Do I have to hire local director? A - No. Neither local secretary. Q - How do I liquidate Estonian company? ​A - It is outsourced to liquidation service company. If there is no outstanding debt, it takes approximately 180 days. Q - Can I open bank account without visiting Estonia? ​A - Yes. We instruct you how to do. Q - Which bank is the largest in Estonia? A -Swedish banks occupy the market. 40% Swedbank. 23% SEB Bank. Q - Is our deposits protected? A - Yes. Up to 100,000EUR per account. Q - Can I receive accounting support for accounting and taxation? A - Yes. Our service includes them. And you do not have to buy any software. Q - Corporate income tax is really 0%? A - Yes until profits are retained internally. Q - How do I pay tax in Estonia? A - You can pay tax online using your e-residency card. Q - How can I receive profit from Estonian company? A - Salary, board member compensation, Fringe benefit and dividend. Financially dividend is the best. Q - How do I calculate tax on divided? A - Dividend x 20/80. The tax is regarded as annual loss in the fiscal year. Q - What is tax rate on salary? Q - Can you help us remain in EU after Brexit? A - Yes, we provide special package. If interested, please contact us. A - Yes. There are Estonian Angel Investment Network, Local incubators and accelerators. Q - Can I buy property in Estonia? ​A - Yes. There is few regulation on foreigner ownership. Tax on property is the world most competitive.